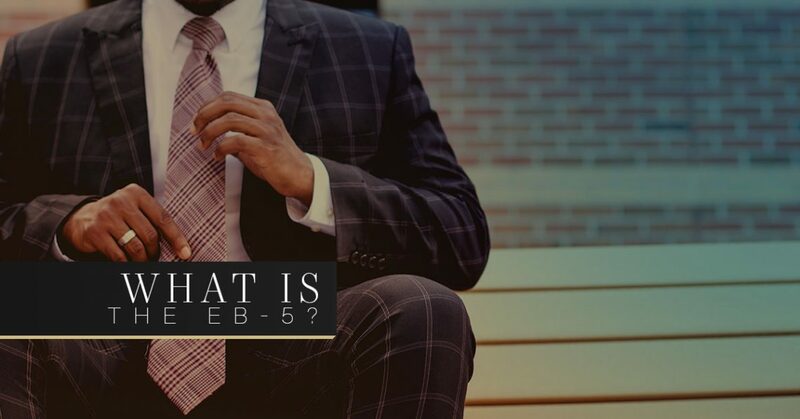 The EB-5 is a program where entrepreneurs with their spouses and unmarried children are able to apply for a green card if they make investments toward a business in the United States as well as proceed to create or save 10 full-time permanent jobs for American workers. The program is named after the employment-based fifth preference visa that people who are in the program receive. It was created in 1990 to help to stimulate the economy in America through creating more jobs and in turn, capital investment by investors who are from other countries. Additionally, two years later Congress decided to create a program called the Immigrant Investor Program to help those who are participating in EB-5 to invest in commercial enterprises who are associated with regional centers that have approved of proposals for economic growth by the USCIS. Investors who apply for this green card have a specific amount they have to invest in with a United States company of $500,000 to $1 million. As opposed to E-2 visa, which is a non-immigrant visa, EB-5 is made to live in the United State permanently; however, it expires after two years. The EB-5 is a conditional green card because it’s business based. If you can show that there is a likelihood that the company you invested in is able to hire the appropriate amount of workers within two years, then you’re able to continue to have your green card under the EB-5. If you’re unable to show that the business you invested in is able to hire the proper amount of workers within two years, then your green card will be canceled. Additionally, just because you want to be an investor to an American company doesn’t mean you’ll be accepted for an EB-5. Like every visa or green card, nothing is guaranteed. The USCIS can reject people who apply to this category because the eligibility is so small. Additionally, this category of a green card has a history of fraud and misuse, which is why it can be a little more difficult to obtain from the EB-5 program. Lastly, if you are able to invest in a for-profit American company and demonstrate that you are a part of the process, then you don’t need to get any experience of business training. Zohar Law PLLC is a law firm located in New York City. As an immigration law firm, we’re able to help you gain green cards, visas, and offer some immigration services you may need. We want to help keep families together, not see them torn apart. We want to help those who want to live in America and flourish. It can be hard being an immigrant, but when you have an immigration lawyer who is experienced, trustworthy, and able to help you achieve success, then you can have more opportunities at your disposal. For further information about how we can help you, don’t hesitate to contact us by filling out the form below. We also speak Arabic and Hebrew.